High Quality 6 FT x 18 Inches Rectangular Open-Back Spandex Tablecloths. 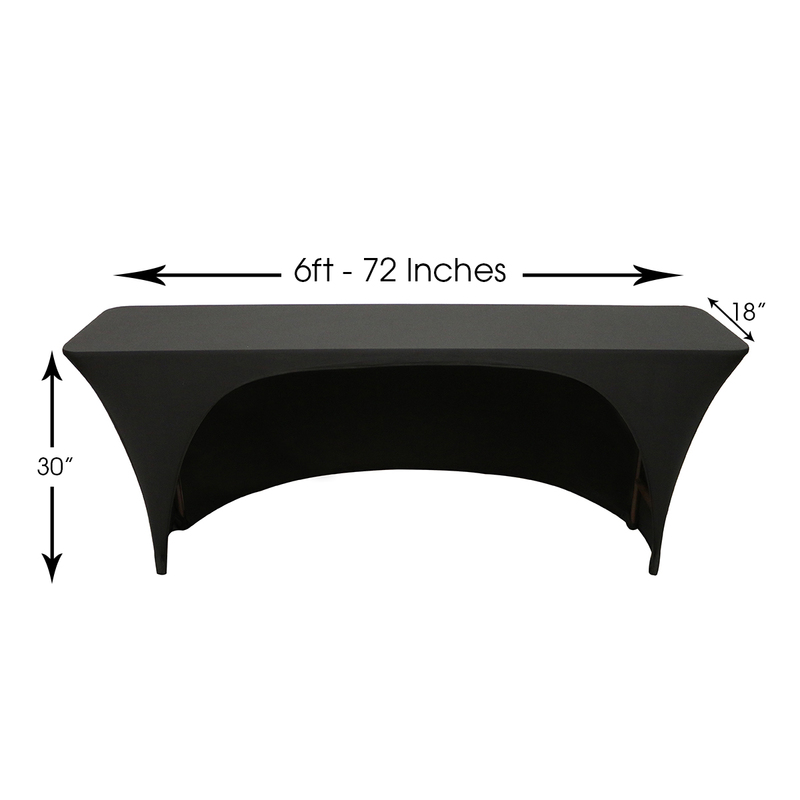 Stretch Spandex Linen Table Covers For 72 Inch Or 6 FT x 18 inches Rectangle Tables. These tablecloth can be used for classroom table, trade show table, narrow tables and children tables that are 6ft in length and 18 inches wide. 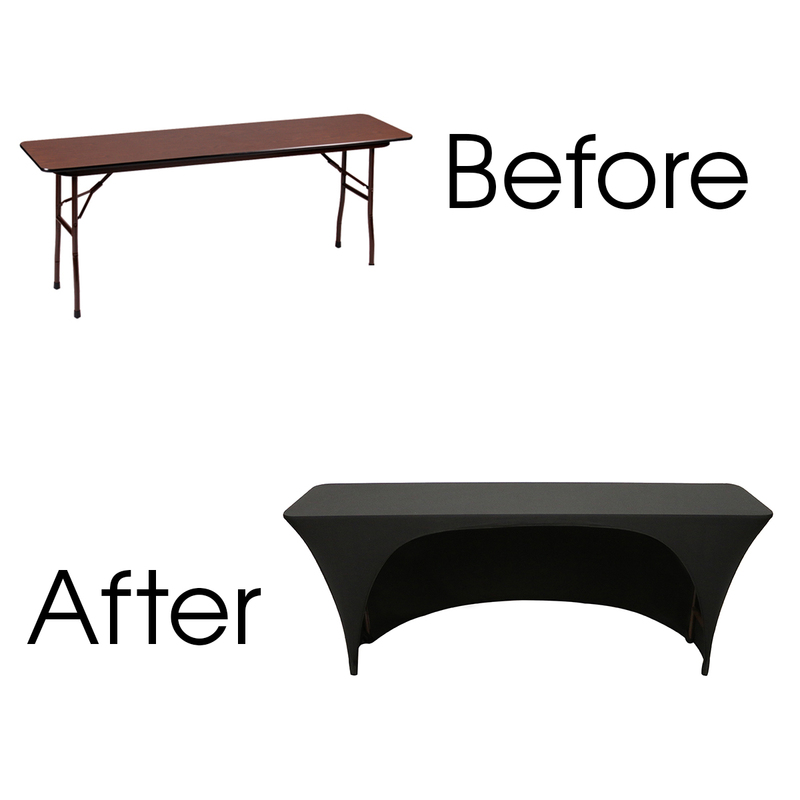 Our classroom table covers made from high quality four-way stretch spandex material, our stretch spandex 6 ft x 18 inches open-back rectangular table covers exemplify modern sophistication and urban elegance. They are designed to fit 6 ft or 72" x 18 inches rectangular tables with 30" height at weddings, casinos, hotels, restaurants and other special events. Our spandex rectangle tablecloths feature deep canvas foot pockets, are durable, do not require ironing and can be laundered countless times. Why rent tablecloths for weddings when you can buy them cheaper? Why pay linen rental prices when you can purchase stretch spandex table linens for hotels, restaurants, and catering services at lower costs?